This wine is a special selection, produced from within the “Fiona Hill Vineyard”. We typically harvest this vineyard is 6-8 different sections and keep them separated until a selection of just one or even part of one of these lots is selected in the spring following harvest. 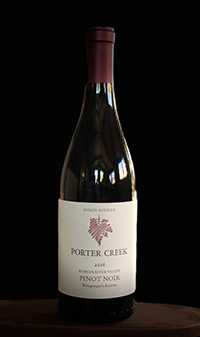 The Winegrower’s Reserve is generally the richest of our Pinot Noirs, with a nice balance of red and dark fruit and age worthy tannins. Annual production is in the 150 case range.